Encounter more than 2800 animals over 300 species from around the world and learn about nature at the world`s best rainforest zoo. Nine time winner of the coveted Best Leisure Attraction Experience award by the Singapore Tourism Board. Be enchanted at the Elephants of Asia show that is set against the backdrop of a Burmese logging camp. Catch Californian sealions in action at the Splash Safari show and learn more about wildlife conservation at the new Rainforest Fights Back show. Instant Confirmation: Book now and receive your e-ticket INSTANTLY! • For early risers, you may choose to attend the award-winning Jungle Breakfast with Wildlife programme not available anywhere else in Asia. • First zoo in the world with a Free Ranging Orang Utan Habitat that features the charismatic apes in its natural surroundings. 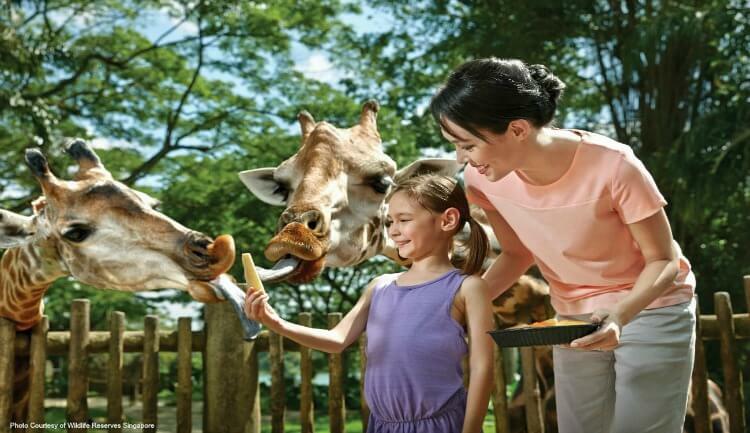 • Encounter more than 2800 animals over 300 species of mammals, birds, and reptiles from around the world and learn about nature conservation at the world's best rainforest zoo. • One of the best ways to experience the park is to take the tram ride (ticket included). 1) Lead travelling party holding the E-ticket redemption voucher, please be ready to produce a valid photo identification upon redemption of tickets. 2) E-ticket is non-transferable, non-refundable and void if altered. 3) E-ticket may not be copied, resold or duplicated. 4) E-ticket is valid for one-time redemption. 5) There will be no refund for unused service either in part or full. 6) E-ticket cannot be replaced if lost, stolen or destroyed and is valid only for the event and date for which it is valid. 7) Admission will be denied should voucher has been redeemed.